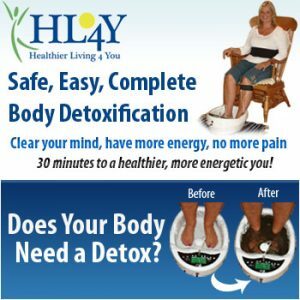 Home Health Are Detox Foot Baths A Scam Or Real? Are Detox Foot Baths A Scam Or Real? Detox foot bath’s have been a controversial topic out there. Many love them, but many science critics disagree with what they can do for the human body. It seems that the people that use them, get results. However, the die hard science critics have yet to scientifically shown that these works. Well, we found a little piece of scientific research that might help you in your research. Pacific College Alumna and Oncology Specialist Christine Adamo is a supporter of “true” ionic detoxes and uses them in her practice, particularly with her cancer patients to help with the side effects of chemotherapy. Learn all about her and her evidence on the Next Page. A recent fad has been sweeping the country: ionic foot detoxes. You may not recognize the name, but you probably have seen the infomercials about foot patches or foot baths that pull all the toxins out of your body through your feet, leaving you with a patch or bath full of brown liquid (aka the toxins). But is it all just a scam? Or is there actual scientific proof to support these claims? I decided to try it out for myself with Pacific College Alumna and Oncology Specialist Christine Adamo, LAc, and see for myself what the scoop is all about. Christine is a supporter of “true” ionic detoxes and uses them in her practice, particularly with her cancer patients to help with the side effects of chemotherapy. First off, I say “true” because Christine warned me upfront about the many false companies out there who claim that the brown water produced in their bath or patch is the result of toxins coming out of the body. “This is NOT true,” Christine said. The water changes color naturally because of the chemical reaction between the electricity and the salt water, not because of toxins. So don’t be fooled by the infomercials; it’s actually the debris that begins to form in the water that are the toxins. Don’t just take Christine’s word for it; the scientific evidence speaks for itself. “We can do a test and you can see for yourself if you’d like?” asked Christine, before we began the detox. “Why not!” I said. Afterall, what better way to determine a treatment’s efficacy than with a scientific experiment? We decided to do a urine pH test before the detox and then another pH test after the detox to compare the results. My first pH test showed to be more on the acidic side of normal. I was ready to see if this detox would really change my pH level in just 30 minutes. The main point of these detoxes is to make the body’s pH more “alkaline,” but what exactly is the importance of being alkaline? An alkaline body is crucial to a person’s health. Diseases thrive in an acidic environment. So basically, the less acidic your body is and the more alkaline, the less prone you are to contracting a disease, such as osteoporosis or cancer, according to Christine. The Center for Disease Control reports that up to 85% of all illness are caused by toxins and pollutants in our bodies. The human body functions best when the ions are balanced at 80% negative and 20% positive. The pH test says: Yes! My post detox pH levels were right in the middle of the spectrum, as they should be, and noticeably more alkaline than before the detox. Christine says that the detox continues to alkalize the body up to 48 hours after the treatment, via urination and sweat, which is an added benefit. One should not eat/drink acidic foods after a treatment, to help better facilitate the detox process. It’s important to aid in your body’s alkalizing process. “You can’t just come in and ‘get fixed’. You have to take ownership in your health. The work I do with a patient has to be part of a team effort,” Christine said, which is why the food alkalinity chart is so important. Christine suggests bringing it to the grocery store with you to help in purchasing alkalizing foods. Other scientifically measured effects of this detox, besides alkalization, are lower blood sugar levels and lower cholesterol levels. Is the ionic detox good for anybody? Yes! Most people can benefit from an ionic detox. It is especially good for those suffering from GI disorders, skin conditions, fungal or yeast infections, and cancer. The ionic detox is contraindicated for those who have a pacemaker and open sores or lesions on his/her feet. People with Diabetes Type I should use this therapy with precaution. The benefit of this form of detox is that it is, “gentle and safe, and not compromising because it bypasses the gastro-intestinal system,” Christine said. The detox also works well when accompanied with acupuncture, to stimulate blood flow, in treating peripheral neuropathy. Despite its weak experimental design, and lack of rigor in data analysis (afterall, the sample size was really too small to do anything but pool the data for statistical significance), we can learn a few interesting tidbits from this experiment. There were statistically significant differences in the quantities of elements in the water following a footbath with feet compared to a footbath without feet. Based on the elements that were present in different concentrations following a footbath with feet versus a footbath without feet, we can assume that certain elements are passing through the feet and into or out of the water. In this case, ten elements that were measured are presumably entering the water from the feet in statistically significant quantities. Conversely, four elements that were measured are leaving the water, presumably being absorbed by the feet. At Extreme Natural Health News we believe in detox foot baths. 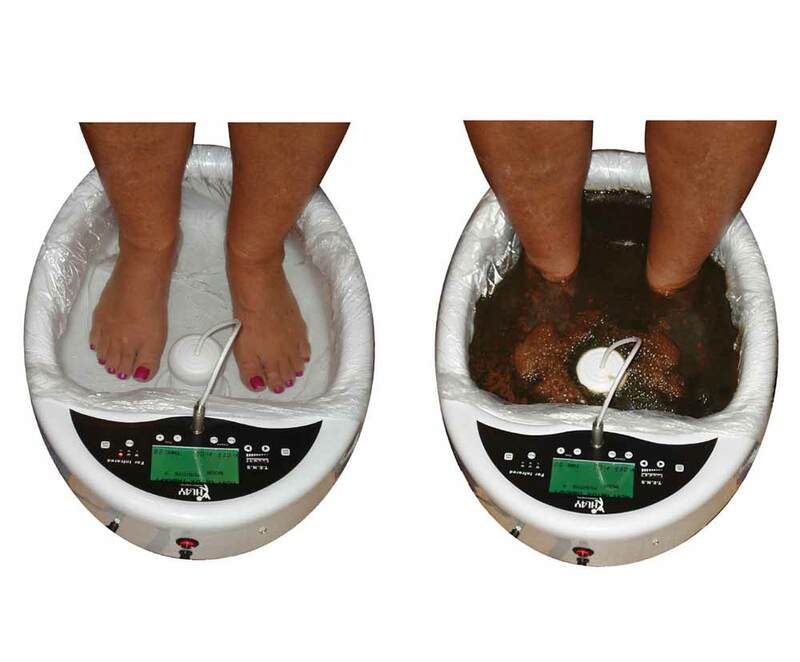 We personally have had great results and have seen many other people have great results with the detox foot baths. This is something that we ourselves include in our healthy lifestyle. There are many different types of machines out there, ranging in all different prices as they state above. Cheapest is not your best option here. Many people have asked us what brand we use, and for a long time we have not shared this information. However, we have now decided to share what we use, it is called the 3 in 1 FIT Premium Detox System, made by Healthier Living 4 You. You can click here to see it and do your own investigation. Tags: Detox, featured, foot, Foot Detox, health, Is Foot Detox A Fact, Is Foot Detox A Fact Or A Myth? They are a scam for sure. I used to go and felt great afterwards. I miss it. Not a scam, I own one and do a cleanse every week. I feel the difference afterwards! Run it without your feet in it and you will see for yourself that it’s a scam. If you don’t believe me. Do it. Run it without your feet in it and see for yourselves that it’s a SCAM. I did it. I actually have done it both ways (with and without feet in the water), out of wanting to know the truth. The water does change with no feet in them, but it has a totally different appearance than when there are feet in the water. A comment below explains this purification process of the water alone nicely. Additionall, in glancing at the article above, it determined that there was difference of the water post foot bath compare to before, supporting the elimination of toxins. Also, I have seem dozens of foot baths done on different people and the results (the appearance of the water afterwards) are not only unique to them, but if they repeatedly do the footbaths long enough, the water does get lighter, hence fewer toxins. I notice a huge difference, it is not a scam. I feel if things make people feel better, does it matter ? it will change without feet in water because it cleans the water…that is what ionization does… this is the exact same process that they use to clean water in sewage plants to clean water that surpasses drinking water standards, i only know because the footbath is what saved my wife’s life… so i know it is not a scam… Toxins are extremely harmful and destroy our immune system.. this is my story http://www.healthierliving4you.com/our-family/ if you are interested of How it saved my wife’s life. Excellent response; thank you! I am glad your wife was saved! We own one! We love it and notice the difference in a huge way and have helped so many friends and family with their health issues. The people that say it’s a scam pretty much all of them have never done 10 sessions. If you think it’s a scam, I challenge you to do 10 sessions every other day with a quality machine. If you don’t feel a difference than go ahead and say it’s a scam….but don’t say it’s a scam because you watched a Youtube video showing someone detox a carrot! LOL. Read this article and they explain the colours. Lisa I’m with you…I know they work! You have to do the foot bath often. My neighbour was a sceptic but she did it and her bad cough went away in 2 days. Now she swears by it. I had to quit doing them at my Drs because it caused the skin around my knees and elbows to break out and itch for hours afterwards! I would suggest Takesumi supreme as a supplement to do the same thing. Flush out toxins from your body and balance your health naturally by alkalizing it. The real scam is our for-profit healthcare system that suppresses the real cures for cancer and other diseases in the name of profit. FireYourMDNow.com, Chemotherapy is a scam that does not work long term for the vast majority of people. TheTruthAboutCancer.org, CancerTruth.org, WakeUpWorld, FoodMatters.org, GliddenHealthcare.com. I am a natural health consultant that does them for my clients. Hardly a scam. Just did one myself today due to feeling very sluggish lately and had a bunch if parasites come out. Felt better instantly. The key to good health is diet and detox detox detox. All of my clients have received benefits from them! Oh wow, which parasites does this help with? And which toxins specifically are removed and why from the feet? How then, do you remove toxicants from your gut through your feet? You can’t alkalize your body. Homeostasis is essential to not being dead. There are some foot detoxes that are a scam- but the good ones are not. Oh geez, this? This is an absolute total scam! Hey, here’s a nifty experiment: try running it without your feet in it and see what color the water turns. Surprise!!! I have looked into it further and I am now confident it is beneficial. Come over sometime and give it a try! Bring it camping. I’ll come to visit then. Keep me posted as to what days and the site number you will be camping at. Looking forward to visiting with you.